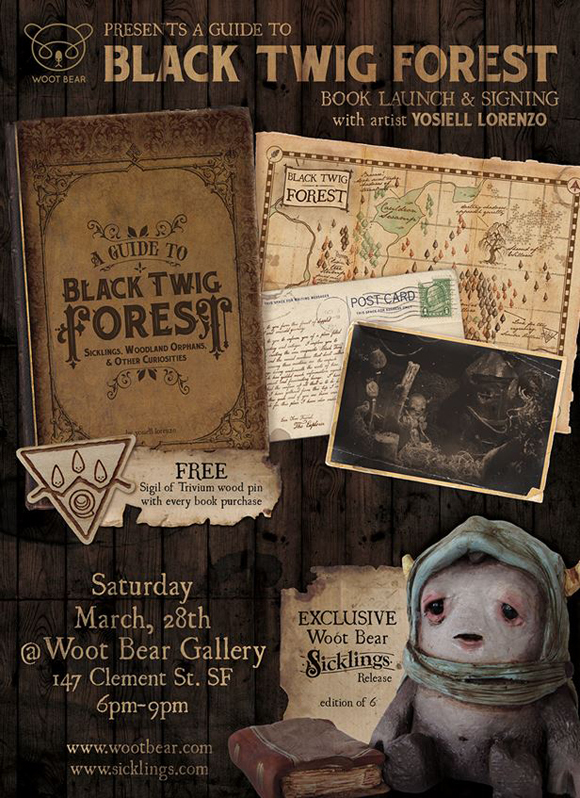 The bay area is in for a special treat this weekend because Yosiell Lorenzo is having a special book signing and sickling release at Woot Bear Gallery! Within the pages of “A Guide to the Black Twig Forest” you can uncover all the secrets of these amazing curiosities! 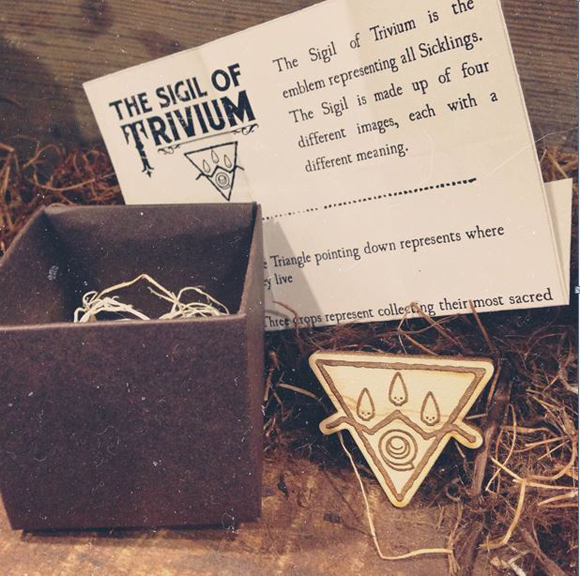 To top it off, Woot Bear will have an exclusive edition of Yosiell’s Sickling sculpts that is ultra limited to only 6, but they aren’t stopping there because you get a Signal of Trivium wood pin with every purchase! We highly encourage you sit down and talk with Yosiell too because he is a super nice guy along with being an amazing artist. 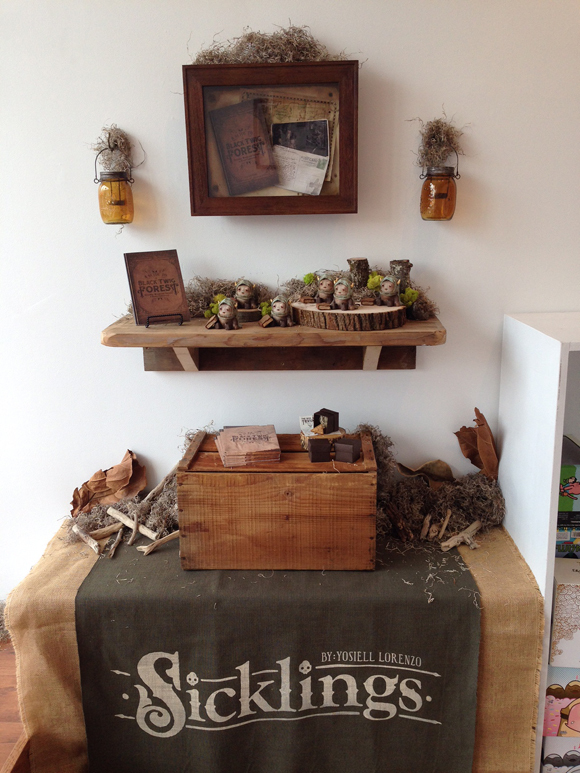 The festivities go down at Woot Bear this Saturday, March 28th from 6:00pm – 9:00pm at 147 Clement St, SF. Yosiell Lorenzo is an artist living and working in Oakland, CA. His studio at Faultline Artspace is a collective of artists from whom he often draws inspiration. 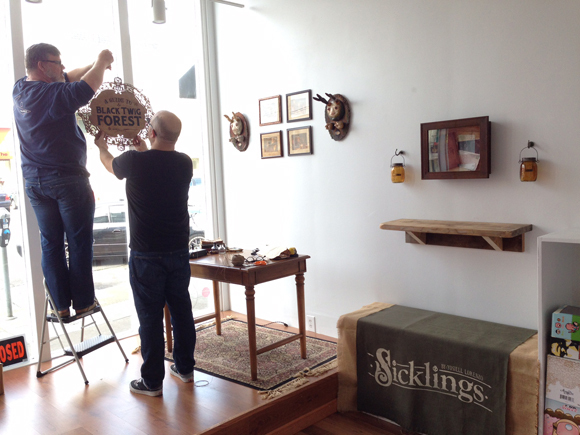 Sicklings are creatures that have inhabited his imagination for a long time, and their world has evolved and expanded through the years. 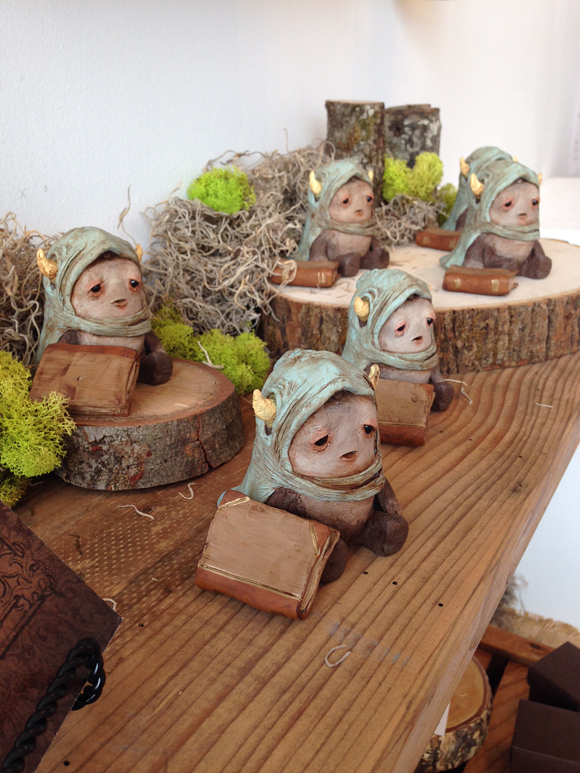 Yosiell taught himself to sculpt, create molds and pour resin to bring these creatures to life. Yosiell’s work incorporates a variety of textures and washes, often using a palette of earth tones or dark and somber colors. Yosiell draws inspiration from the natural world, the occult and the darker elements of the human condition. Thematically, he continues to explore issues of sadness and longing in varying mediums, including sculpture, paintings, graphite, ink, mixed media and digital vector art. Yosiell has had a solo show every year since 2008, and his paintings and resin sculptures are collected around the world. Additionally, Yosiell makes his presence known in group shows around the country with events in New York, Los Angeles, San Francisco, Chicago and Miami. Recent personal highlights include being a featured artist in the Pixar Times, Juxtapoz.com, and Hallmark UK. 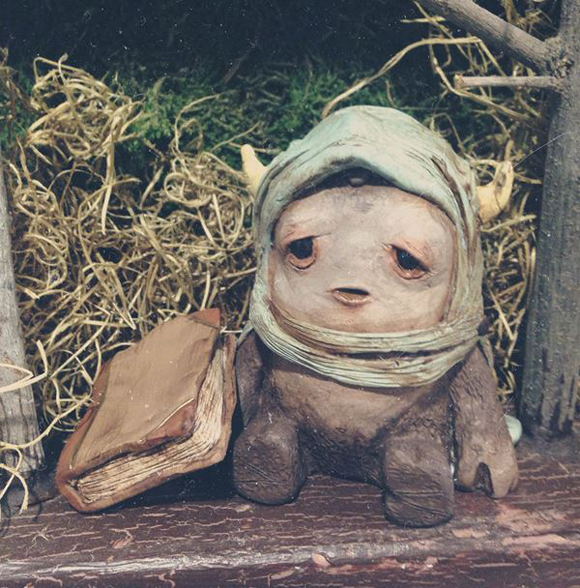 The post Yosiell Lorenzo’s “A Guide to Black Twig Forrest” at Woot Bear on Saturday, March 28th appeared first on Kidrobot Blog.